Posted on 28. 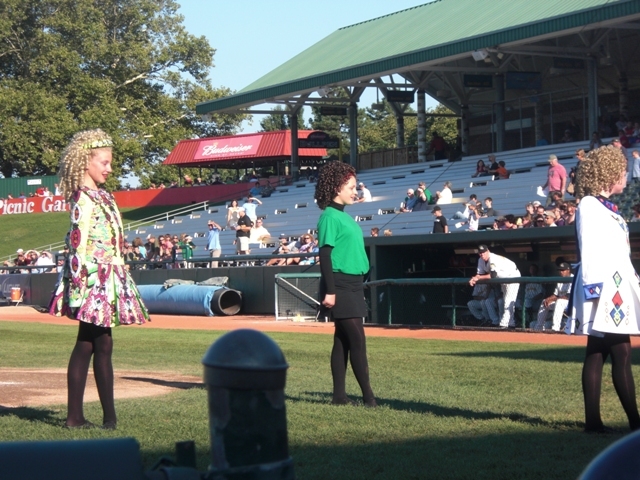 Aug, 2010 by Corey in All, Dayton Dragons Baseball, General Baseball. 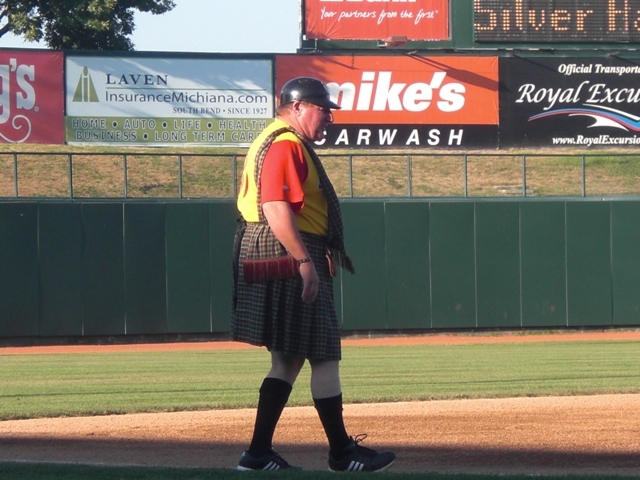 The Dayton Dragons wrapped up a three game series last night in South Bend, Indiana, defeating the Silverhawks to take two of three. 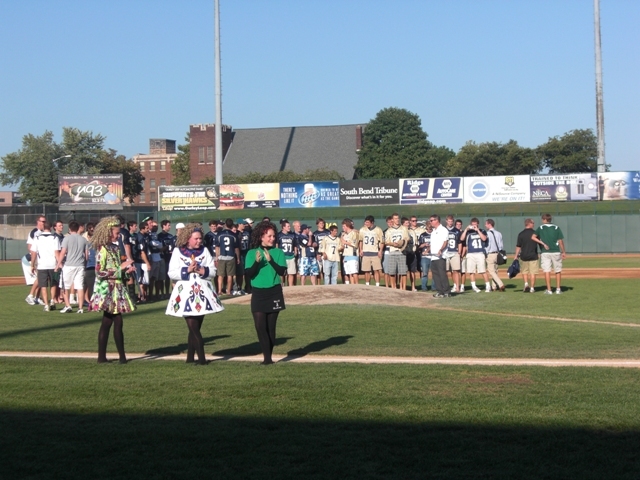 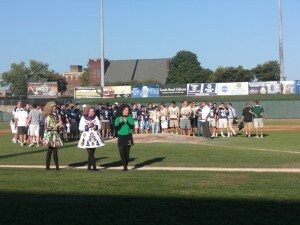 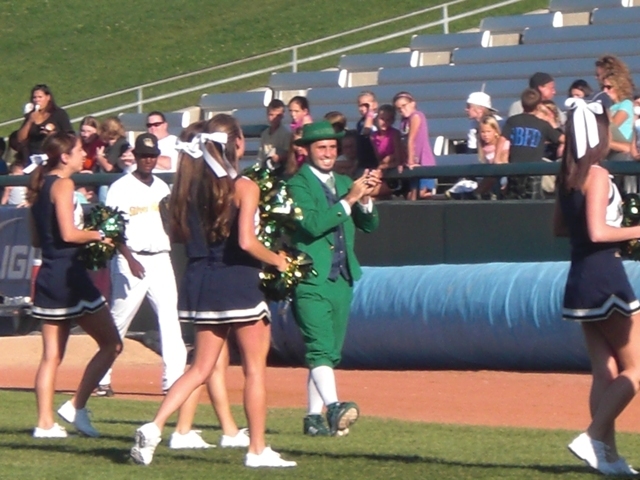 The highlight of the evening were the off the field activities surrounding Irish Night. 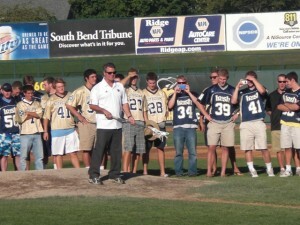 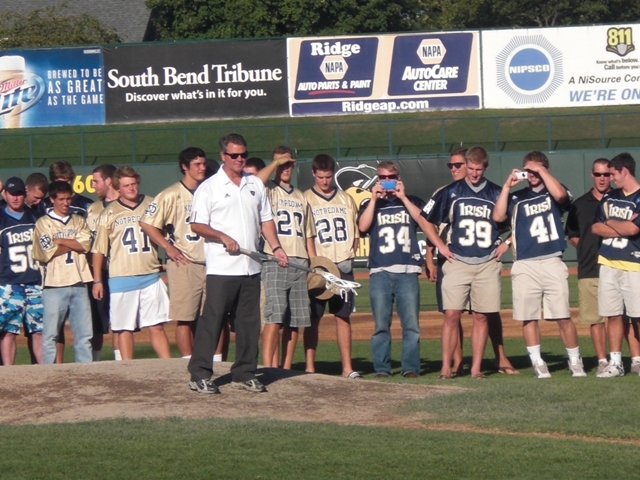 The Notre Dame Men’s Lacrosse team, who was NCAA National Championship runners up were on hand to be honored. 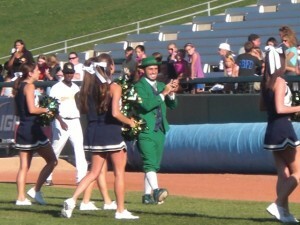 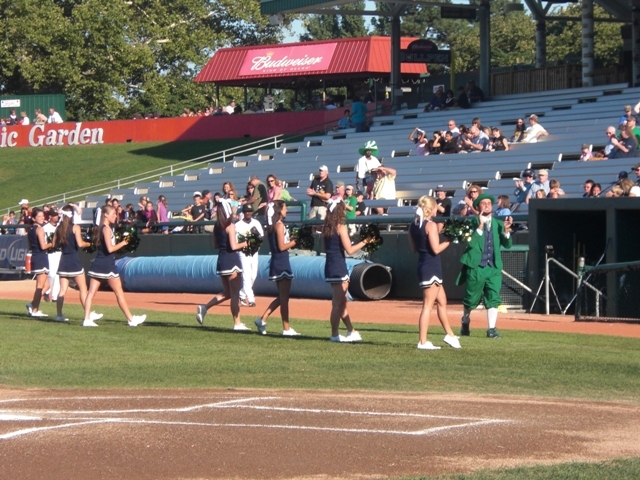 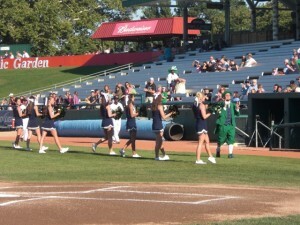 Also with them were the cheerleaders and the little green leprechaun. 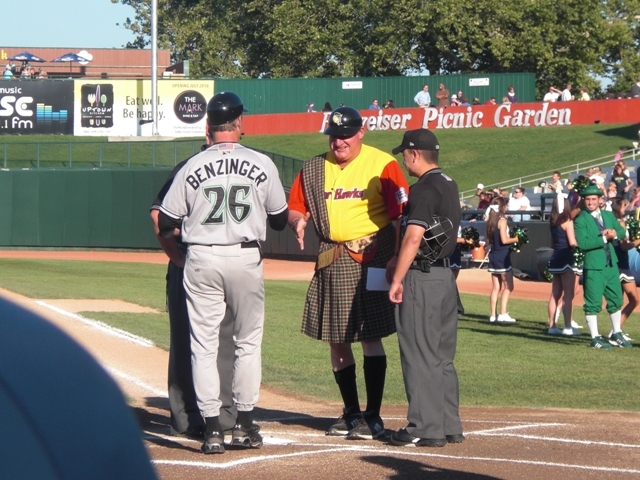 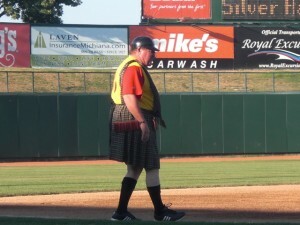 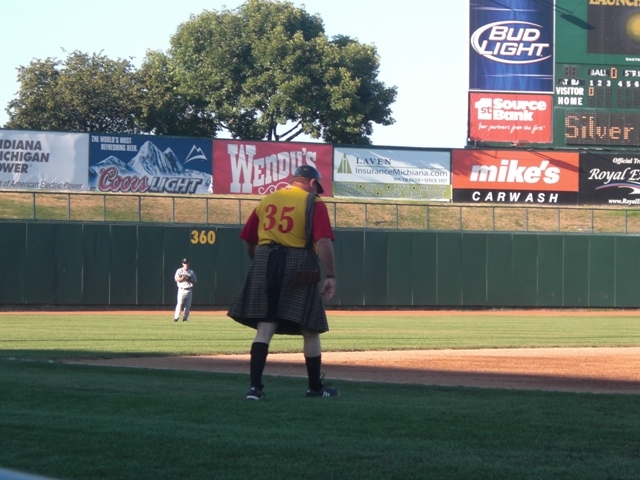 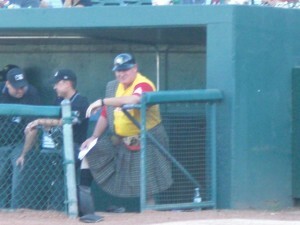 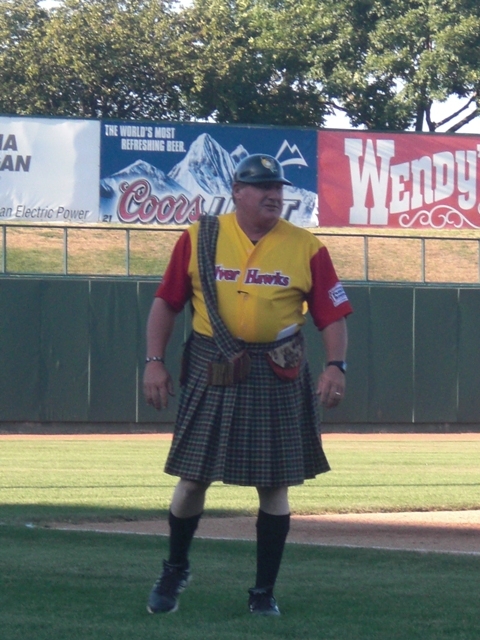 But the highlight of the night goes to South Bend manager Mark Haley who coached the entire game in a Kilt and yellow game jersey to support the Ronald McDonald House and the entire evening. 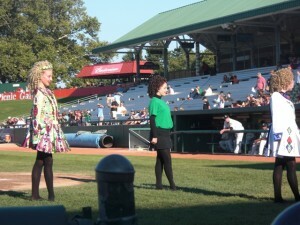 I give Haley a lot of credit for doing this, just look at the pictures.